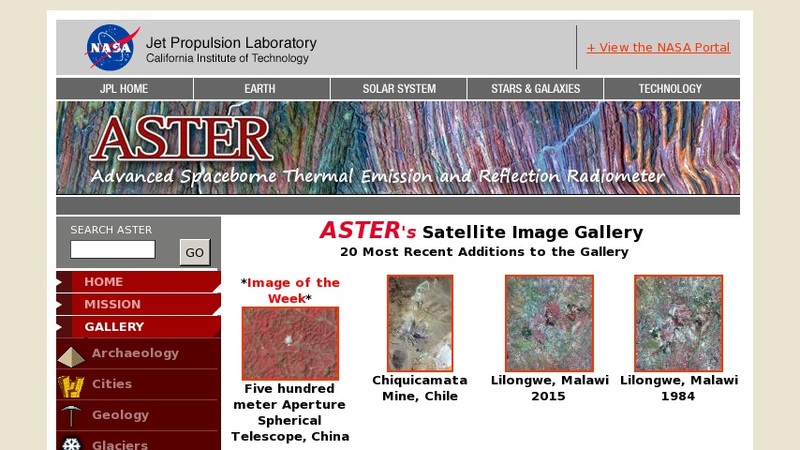 This site provides access to satellite images acquired by NASA's Advanced Spaceborne Thermal Emission and Reflection Radiometer satellite. The images are sorted into eight categories: Archeology, Cities, Geology, Hydrology, Land Use, Natural Hazards, and Volcanoes. Users can also view the most popular images and the most recent additions to the gallery.